The company said it also plans to invest as much as $200 million to open 100 new stores over the next year as well as invest in other areas. It currently operates roughly 800 stores globally. Tuesday's earnings report marked the iconic blue jeans maker's first since its return to the public markets last month. Its stock rose 3% in after-hours trading. 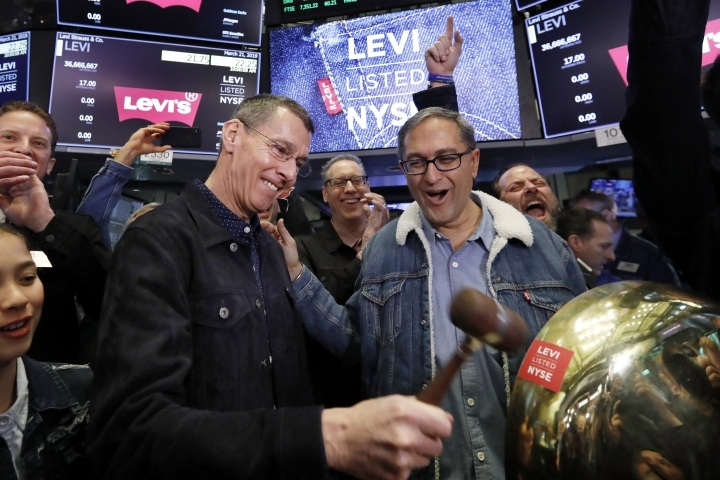 Levi's IPO came amid increasing competition and a changing retail landscape. Women are opting for yoga pants or other comfortable athletic sportswear that can be worn every day. And Levi's is contending with a shrinking number of department stores, once its traditional venue of distribution. Discounters like Walmart have also been developing their own brands. Since assuming the helm in 2011, Levi's CEO Chip Bergh has refashioned the brand and image. It didn't chase after the yoga trend but rather focused on enhancing the fit of its women's jeans with stretchier fabrics. Bergh also has created buzz with partnerships with celebrities like Justin Timberlake while increasing Levi's marketing at events like Coachella, where Beyonce performed in the brand's cut-off shorts. At the same time, the company has been expanding online and juggling between selling to low-end and high-end stores. It is expanding its tops assortments while looking for growth outside the U.S., particularly China. A recent resurgence in denim should also help the company. 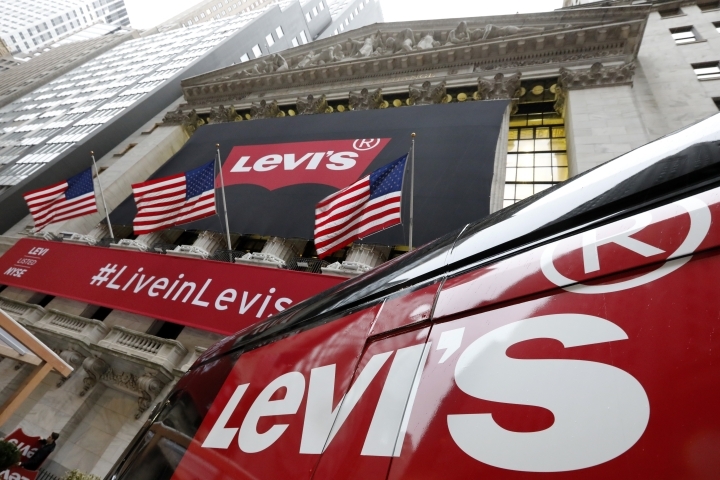 San Francisco-based Levi Strauss said it had $1.43 billion in sales for the quarter ended Feb. 24. The growth was across all regions. In the Americas, net revenue rose 9%, while it rose 3% in Europe. In Asia, net revenue was up 8%. It marked the sixth straight quarter of revenue growth. "Growth was broad-based across all three regions and all channels, demonstrating that our strategies are working and our investments are paying off," said Bergh in a statement. The company reiterated its outlook, noting that it expects net revenue growth of mid-single digits. Levi's stock got an enthusiastic reception from investors betting the iconic brand is ready for a comeback. The stock went public at $17 and popped nearly 32%, closing its first day of trading at $22.41. However, it retreated since then but rose 67 cents to $22.55 in after-hours trading Tuesday. During regular trading prior to the earnings report, the stock rose 58 cents, or nearly 3%, to $21.88.